Granite countertops w/ s.s appliances; Spacious Living Room with updated fireplace & tons of gorgeous natural light. Strategic Dining area gives you an open floor plan feel. Hardwood floors throughout, Elegant lighting fixtures. spacious Bedrooms & Full finished Basement with an extra Bedroom. New 2-car Garage and a wide spacious driveway for extra parking. 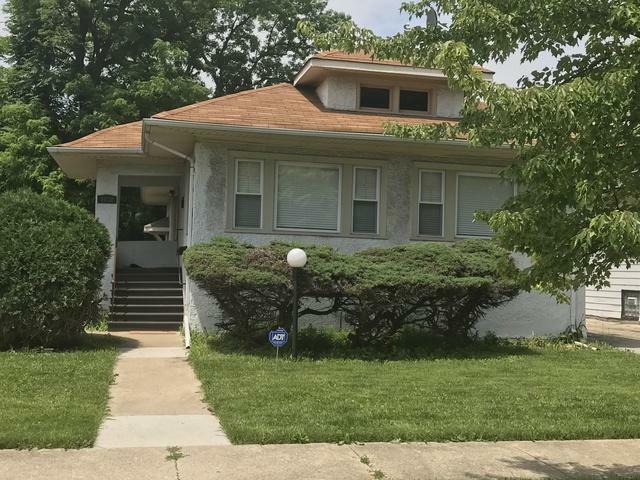 (double lot) Plumbing, windows, elec all updated. Beautifully fenced yard with solar cap post for those great summer relaxing evenings (vacation in your own yard). Homeowner providing Buyer w/ 1 Yr Home Warranty. Just minutes from major expressway & public transportation. Bring your buyers - they will not be disappointed! Need more room? Bring your ideas and create huge dormer upstairs!